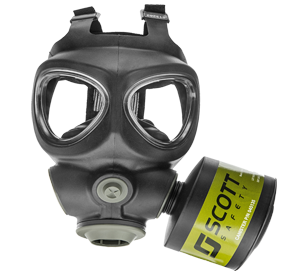 The 742 series twin cartridges, for use with Scott Safety Half- and Full-facepieces, is available in wide range of NIOSH approved cartridges. 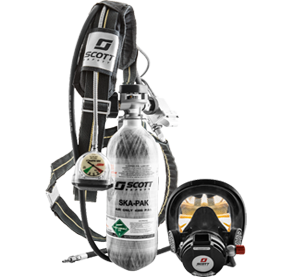 The easy breathing 742 series twin cartridges were developed to provide optimal respiratory protection in non-IDLH industrial or HAZMAT situations. The low profile, swept back cartridge design ensures optimal field of vision and allows use of communications. 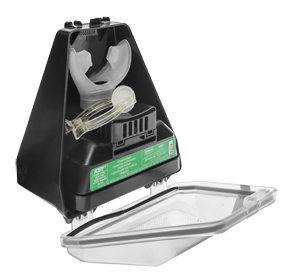 The 742 series is available in a full range of NIOSH approved, chemical cartridges or combination cartridges. Attaches directly to XCEL Halfmask and Promask full facepiece. 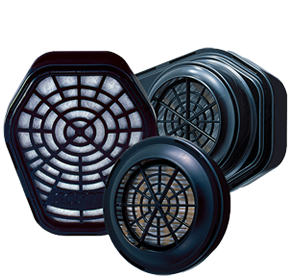 Uses Quarter turn adapter when used with AV Series Facepieces. Free Access to Sure Life Cartridge Calculator tool for assistance with cartridge selection and service life estimator.